Crawling about the floor is the best way to spot the items that are within your babies reach as they move around. Check for anything they might be able to trip on like loose rugs and wires, or things that they could pull down, or put in their mouth and choke on. It is also advisable to remove any plants, especially ones on the floor, as they can be poisonous. Large pieces of furniture such as bookcases and chests of drawers should be securely attached to the wall in case your child pulls themselves up on them and the topple over. Furniture should not be near windows or any cords that could cause strangulation. All low ornaments should be taken away or placed higher up to stop your child reaching for them as they could be heavy, or break when they fall and cause cuts. Cupboard doors, especially ones under the sink where cleaning products are kept, should have child proof locks on them. Stairs are always fascinating to children and so baby gates are a very important addition, however, if you do not want the white coloured ones you can also get wood variations. It is important to add plastic covers to any edges of your furniture to ensure any accidental bumps that do happen are not more serious. Fit door-jammer devices to prevent doors from shutting hard on small fingers (but take them off at night so that doors can be kept shut, in case of fire). Many plug sockets are low down and although they are designed with shutters to stop little fingers getting shocked, they cannot prevent things being inserted into them that could conduct electricity. Young children can drown in very little water so never leave your child unattended and especially not in the bath or play pool. Do not leave water in basins or buckets, especially if there are cleaning products in them. Radiators are very hot and dangerous so it is advisable to keep guards in front of them. 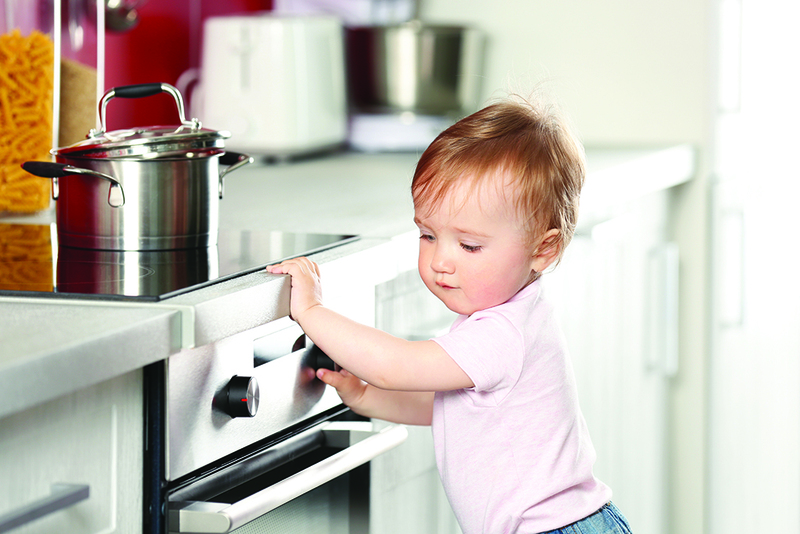 Use the back burners of your stove and turn pan handles to the back so a child cannot grab them. Keep appliances, such as hair straighteners, hairdryers and kettles, well out of her reach.These appliances stay extremely hot for a long time after use and are very dangerous. It is worth keeping your kitchen bin securely closed as well. Make sure you have a working smoke alarm (and don't forget to check the batteries regularly). If you are searching for the perfect forever home to raise your family in, contact Rodgers & Finney, we would be delighted to help you find your dream home.